The Challenge: Only few brands have made the seamless transition into the gaming space. There’s a hesitancy, on the gamers part and on the brands part to see if its the right fit. The Strategy: As the light beer that gives you more of what you want, we’re going to be the light beer that lets you game on with great taste, no matter what you’re looking for. The Idea: Game on with Great Taste. In the gaming community, the party is happening on Twitch. 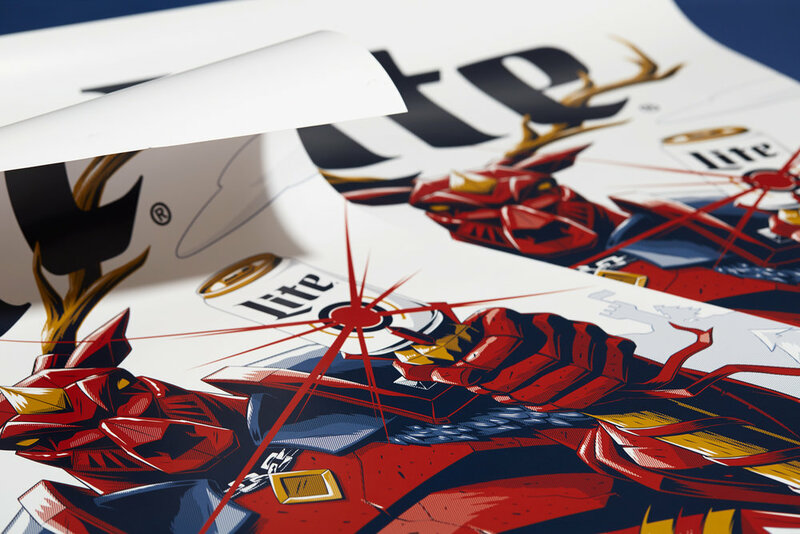 In order to maintain authenticity in the gaming community, we started by partnering with influencers and creating gaming specific Miller Lite swag to show these revered gamers that we belonged in the space. So, we reached out by sending custom streamer kits to some of our favorite content creators on Twitch. It’s their party, and we want to bring the beer. The kits included some Miller Lite, a koozie stein, a desktop fridge, a hand written note professing our appreciation for what they do, and a set of gaming posters representing some of the games they love to stream. Then, we asked our influencers to host a Miller Lite Happy Hour for their fans, and opened these kits on stream. The reaction from the streamers (as well as the audience) was amazing, and then entrance into this beloved community was well received. This whole thing was put together by a talented group of people who love to play games and drink beer. There’s so much more to share and so much more to come as the gaming community and Miller Lite friendship grows.